As we design supply and install we are able to provide a multitude of services in the leisure industry for sports facilities, children’s playgrounds and a number of other features. Our team can complete design consultancy as well as construction and maintenance for different types of recreational areas. We have worked with lots of schools, colleges and councils to create multipurpose sport and leisure facilities to be used by local people. Be sure to contact us today if you’d like an idea of costs for building a new outdoor facility at your organisation. 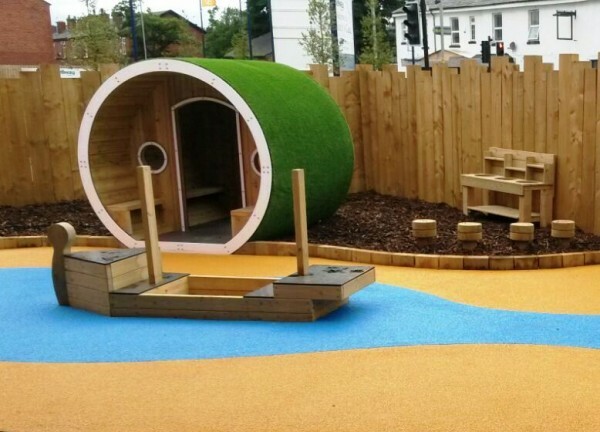 Our Design Supply and Install team can create in depth plans and specifications for nursery playgrounds and school sport pitches. Each client can have bespoke designs created by our consultants to ensure they get exactly what they need. We may work with your individual budget and offer a quote which suits your price range. 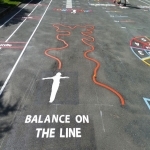 Some of the products we specialise in include wetpour play surfacing, synthetic turf, addagrip http://www.design-supply-install.co.uk/porous-paving/addagrip/ and rubber athletics tracks. These can be designed in a range of dimensions and shapes depending on what you need. We've worked with numerous councils and schools to build amazing facilities for their local community. When designing sport pitches we're able to provide you with high quality results that meet your requirements. 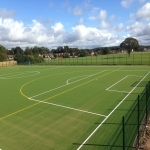 Whether you're looking for football, netball http://www.design-supply-install.co.uk/sports/netball/, hockey or any other sports surfacing, we could create a pitch that is suitable for your surrounding areas. As experts, we have years of experience as well as specialist knowledge to ensure you find the exact sports court you're looking for. Speak to our team today if you're interested in finding out more information about the design, supply and installation services we offer closest to you. As specialist contractors of outdoor leisure facilities, we've worked on plenty of different projects. In addition to the installation work, we also offer maintenance and repair services for outdoor flooring and equipment. We can complete repairs for wetpour surfacing, 3G turf pitches, rubber running tracks and any type of outdoor equipment. Our consultants can also complete safety testing and regular inspections to check that everything is working correctly and safely. 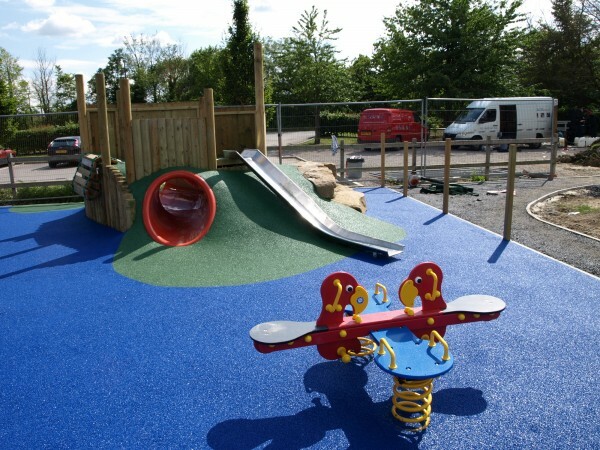 If you're in need of a specialist repairs company for your play area, sport facility or their surrounding areas, feel free to contact us today through the quick form on this page. Our local sports court builders have years of experience within the construction industry and have a wide array of expert knowledge regarding the different surface types. 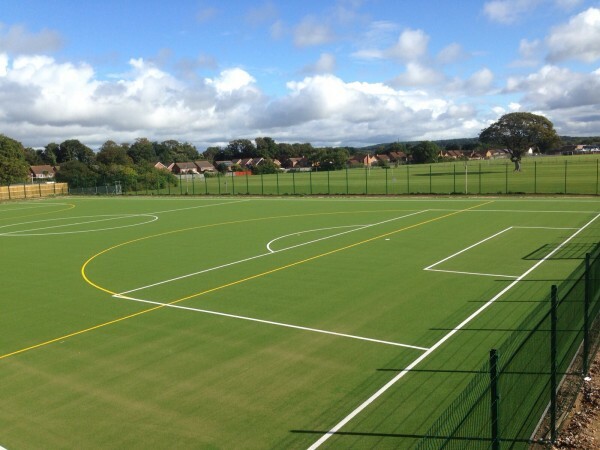 We may carry out the whole construction process http://www.design-supply-install.co.uk/muga-pitch/construction/ including existing the current surface, laying a sub base and installing the sports surfacing. 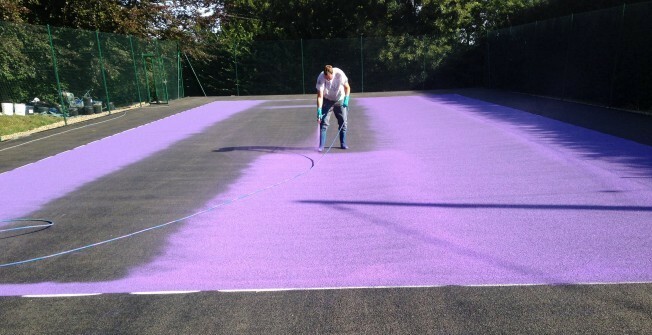 After building sports courts we can then carry out maintenance and repairs where necessary to ensure your facility is kept in the best possible condition closest to the original surface. If you would like to speak to one of our experts about costs for the design, supply install of recreational surfacing, please complete the enquiry form on this page. As each project is completely different, the prices and specifications will vary so our experts can talk you through some bespoke options. Simply send over your details today and we’ll get back to you as fast as possible to offer all the information you need.